First I heard of it was at my best friend's place. She was introducing us to her husband's little toy. It was love at first sight! Don't you just love those practical little gadgets! 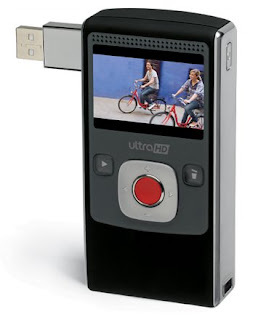 It's a mini camcorder that you hold with one hand (pretty light) and can record up to 60 or 120 minutes (depends on the model you've bought). That's it! It just holds that much time! But no worries! 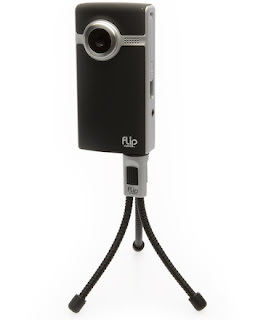 Every clip you record should be transferred into your laptop through Flip's built in USB. And Voila! Empty space to record more good moments! 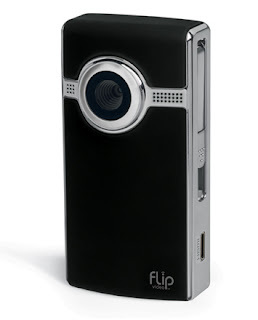 So if your using your Flip on a trip, you have to bring your laptop along with you on the trip. I know I know, it's heavy, but totally worth it. (Advice: get yourself a mini laptop just for travelling). The 60/120 minutes is built in, no need for memory cards. It does not take still photos, just video clips. Batteries are recharchable, through USB or you can get the recharchable battery accessory.